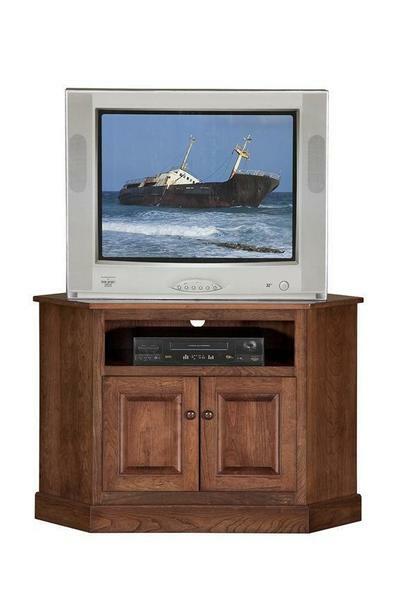 This Shaker Corner TV Stand is proudly made in the USA! At DutchCrafters we only offer American made furniture! Our Amish handcrafted Shaker furniture is not made in a factory! Each Shaker tv stand is made by hand with experience Amish woodworkers in a variety of solid hardwoods and finish options. Our beautiful Shaker furniture is made to order and does take time to custom build for our customers. Please allow 4-8 weeks for your solid wood Shaker furniture to be built. Call 1-866-272-6773 for assistance with one of our sales associates.